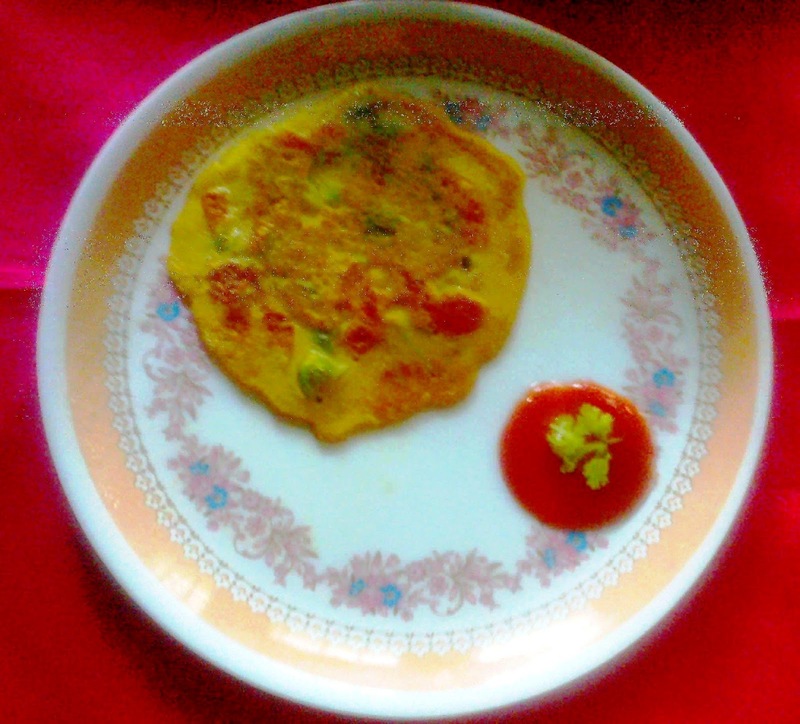 Tomato Omelett is a simple and tasty Vegetarian Omelett. 1) Combine gram flour, tomato, onion, turmeric powder, chili powder, ginger, coriander leaves salt, and water and make a mediumthick batter. 2) Heat a tava and smear some oil on it. 4) Pour a tbsp of oil, when it is cooked and then flip it over. 5) Cook the other side until done. 6) Serve with tomato sauce.